We're the premier TaeKwonDo School in Enumclaw, Washington offering training for the whole family! 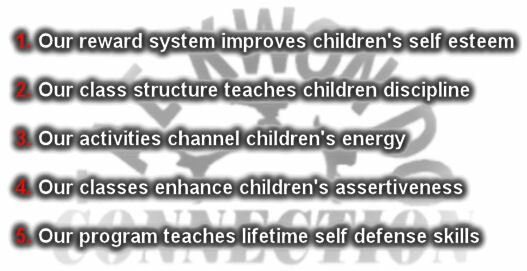 The goal at TaeKwonDo Connection is to enhance the lives of our students through increased physical fitness, the development of a strong character, and the confidence to achieve any goal. 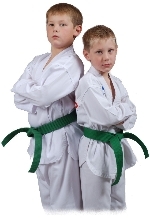 Our TaeKwonDo school has a family atmosphere allowing time for fun along with the disciplined Taekwondo training. 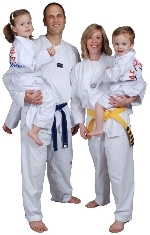 All our classes are family style and kids really enjoy sharing their sport with mom or dad. Taekwondo is a fun and exciting sport that promotes self confidence and discipline along with fitness and self defense. Taekwondo Students are expected to attend two days per week for optimum progress. We recommend choosing a Monday / Wednesday schedule or Tuesday / Thursday schedule, although we can accomodate other schedules. We look forward to meeting with you soon and welcome you to the exciting world of Taekwondo!